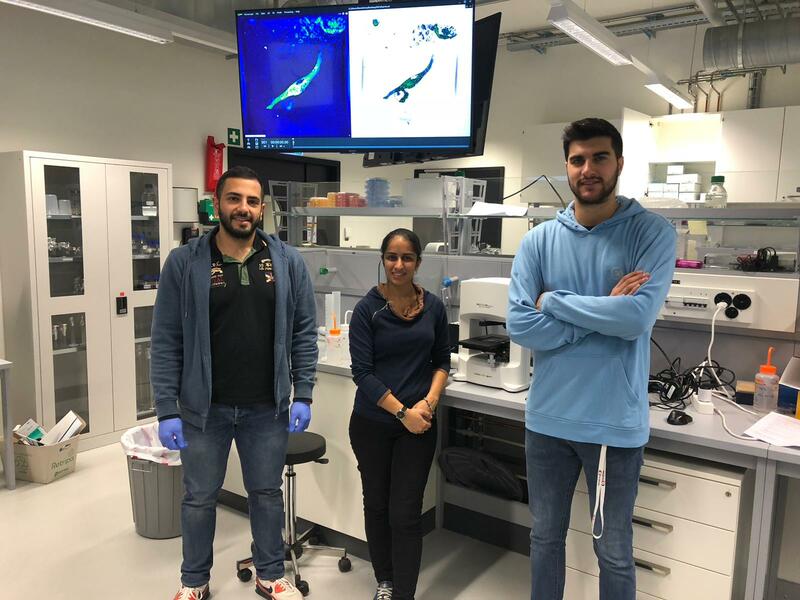 At Nanolive, we are keeping our fingers crossed for EPFL’s iGEM team who will be competing over the next few days in Boston against other highly motivated students from across the globe. In our efforts to support education, it’s been a great experience for Nanolive to have worked with students Daniel Nakhaee-Zadeh Gutierrez and Moustafa Houmani to contribute to their project called CAPOEIRA (CAncer PersOnalised Encapsulin Immunotherapy & Relapse surveillAnce) which exploits the potential of synthetic biology to develop a personalized, cost-effective, and rapid production scheme for cancer vaccine and point-of-care relapse surveillance. 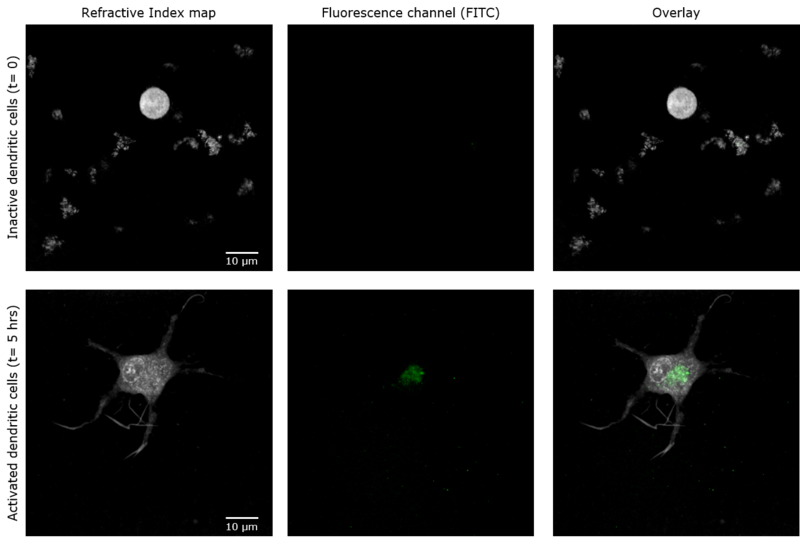 As part of vaccine validation, Daniel and Moustafa observed dendritic cells in matrigel 3D cell culture with the 3D Cell Explorer before and after vaccine presentation to confirm the activation of these dendritic cells by the vaccine (labeled with GFP) and the incorporation of the vaccine into the endosomal areas of the dendritic cells. Below are the results of their experiment. Find out more about the project here: http://2018.igem.org/Team:EPFL/Results. Dedndritic cells in 3D matrix (Matrigel). Left column: 2D RI map of Inactive (top) and activated (bottom) dendritic cells; Central column: Fluorescence signal coming from the internalized vaccine where present (activated cells); Right colums: overlay of 2D RI map and fluorescence signal. 3D visualization of Inactive and Activated dendritic cells in 3D matrix (Matrigel).